This wallet features space for your phone, 8 credit cards, currency, ID slot, pens and so much more! 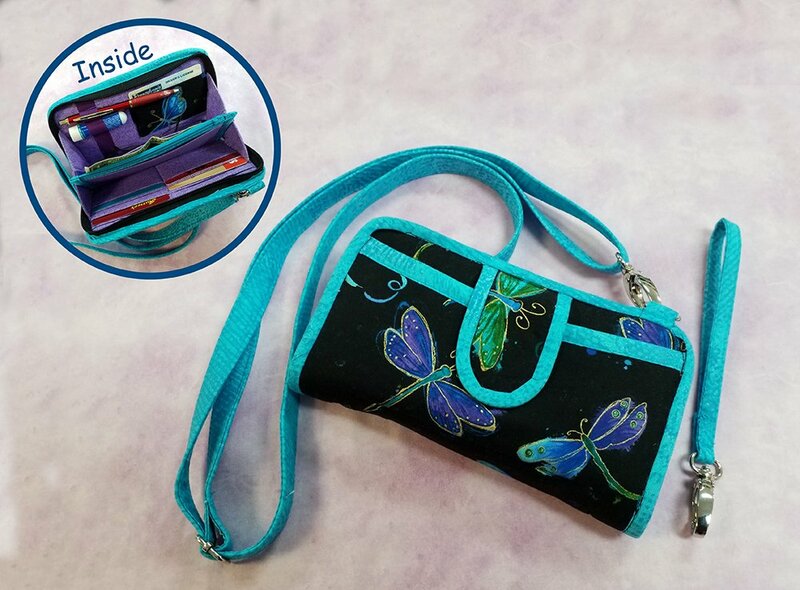 Add the shoulder/cross-body strap or a wristlet strap to enable this wallet to be carried hands free. Sewing machine in good working order (don't forget your foot control and power cord)!